The music video for “The Fox” is going to be the Internet’s new favorite thing, so now’s the time to get out ahead of the “have you seen this?” buzz and watch it below. 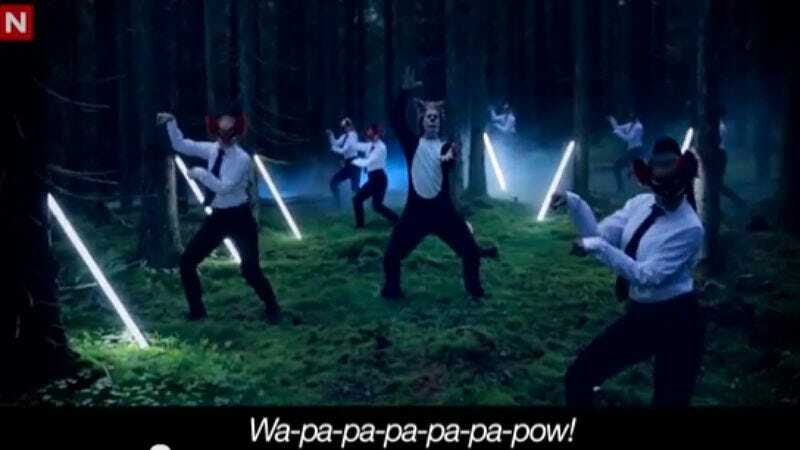 The totally wacked out song and clip is from Ylvis, a Flight Of The Conchords-esque Norwegian duo that has its own variety show and has recorded songs wondering, for example, what’s up with Stonehenge. Still, with its whoops, toots, and dozens and dozens of animal costumes, “The Fox” is definitely worth watching, then forwarding to friends, and then singing for the rest of the week. Consider yourself warned.